Your CV is your only chance to make a first impression. The majority of jobseekers fail to secure an interview as they have not spent sufficient time on presenting a CV which will catch a prospective employer's eye. A CV is essentially your sales pitch to an employer with the aim of being invited to interview where you can sell yourself on a face to face basis. 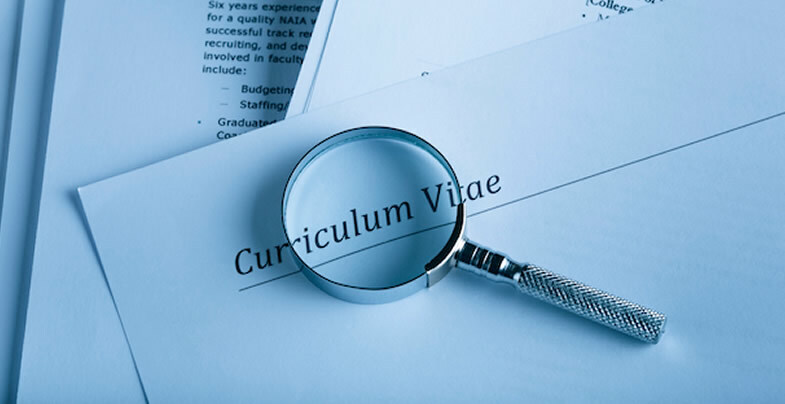 Curriculum Vitae, literally translated means "life story" therefore it should include your experiences during your career and highlight your skills. You want your CV to tick as many boxes as possible for an employer and you want to stand out from the crowd by showing what you have achieved so far. If you put in the required amount of time and effort into developing a high quality, professional and concise CV you drastically improve your chances of being invited to interview. Try to keep your CV short and to the point, about 2-3 pages. No employer wants to read through a 14 page CV. In this section of the CSR website, we will guide you through how to achieve this. Your CV should begin with your up-to-date contact details to include your full name, address, contact telephone numbers and email address. It is phenomenal the number of job seekers that omit their telephone number on their CV. Do not include any professional letters after your name at this stage. This can be seen in a dim light by some employers and is best listed later in your CV. A short introduction to yourself giving a brief outline of what you do. You should outline your job title, what background you have come from, what your greatest professional achievement is and what you aim to achieve with your career. List your academic education first starting with the most recent course and moving back in history. Usually, this will be your degree, followed by secondary school and finally primary school. Then list your industry specific training along with memberships of professional associations. This, in some cases, can be quite an extensive list so you are best advised to list the most relevant here and leave the remainder to be listed at the end of your CV. Here you are aiming to show a prospective employer, at a glance, who you have previously worked for, in what capacity and for how long. Dates are important, employers look at this as a means of identifying your loyalty and work ethic. A job seeker who has worked for their last employer for 10+ years will always look better than someone who has worked for numerous employers for short periods of time. Do not leave gaps in your employment that are more than 1 or 2 months which could be explained as time spent looking for work. If you have been travelling, unemployed, doing charity work or whatever the case may be, make sure to include it. An employer will ask and it may be viewed as either carelessness on your part or an attempt to hide something such as a previous employment that had been unpleasant. For each employment you have had, give a concise list of your responsibilities and what you actually worked on along with any additional duties you may have accepted. Always be honest on your CV as an employer will ask you and your references questions on the details you have provided. DO NOT give reasons for leaving each employment on your CV. Numerous job seekers feel the need to write derogatory comments about previous managers or companies as reasons why they left. This will only result in your CV being discounted. This section should only be 2 or 3 lines or can be left out of your CV if you wish. This is an old fashioned part of a CV that people continue to include as they think they should. Writing that you enjoy reading books, drinking red wine and socialising with your friends will not impress a prospective employer. Again, this section is not necessary but it is somewhere you can include anything else you feel relevant or if you have an extensive list of training courses to include. Finally, check your CV by using both a spell and grammar check on your computer and actually reading through it yourself or ask a friend as they may spot an error you have missed. This guideline is meant to assist you in compiling a professional CV but if you have any further queries or need advice at any stage during your search for employment, feel free to contact CSR and speak to one of our experienced Consultants.